-Rest precisely three minutes between rounds. **This is a long workout and there will be a 45 min time cap. Get in, get in a quick warm up, and go. 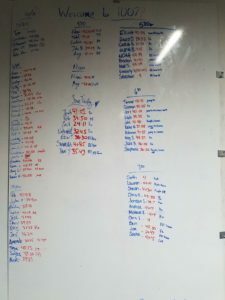 **Scaling options of 3 or 4 rounds, or as much work as possible in 45 minutes.